On Tuesday, Coresight Research attended a Council of Fashion Designers of America (CFDA) event cohosted by Chinese e-commerce giant Alibaba. 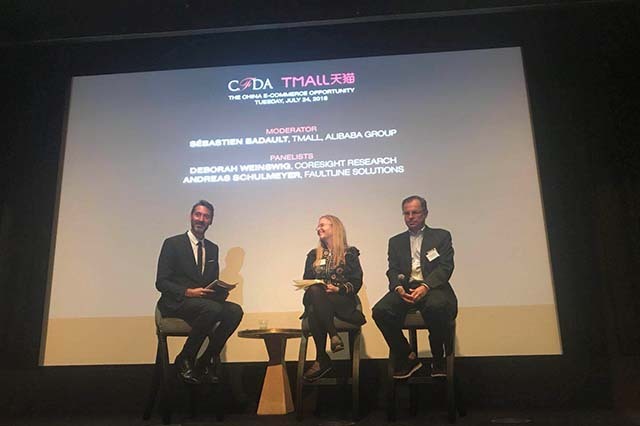 After a presentation by Alibaba France Managing Director Sébastien Badault, Coresight Research CEO and Founder Deborah Weinswig spoke with Badault and Andreas Schulmeyer, Founder and Principal, Faultline Solutions, about the unique nature of the Chinese market and consumer. The three also discussed opportunities and strategies for brands looking to enter the Chinese e-commerce market. Here, we share our takeaways from the event. Chinese consumers rely heavily on e-commerce to purchase almost every kind of product, and with only half of the Chinese population connected to the Internet, there is ample room for growth. E-commerce is the door to all Chinese retail, and establishing a store on Alibaba’s Tmall marketplace is crucial. Tmall stores reach consumers in all parts of China and are the most popular shopping destinations in the country. Collaboration is key when entering the Chinese market. It’s vital for brands to work with Tmall and companies such as Coresight Research, which can help guide them through the process of entering the Chinese market. Replicating American strategies in China just doesn’t work. While shopping in the US has become largely a chore, shopping in China is an enjoyable experience. Brands in China tend to use innovative marketing, including key opinion leaders/influencers, to build excitement around their products. Alibaba is huge and growing fast. In 2016, the company overtook Walmart as the largest retailer in the world, and it is still generating double-digit revenue growth. Only half of China’s nearly 1.4 billion people are connected to the Internet, so there is still plenty of opportunity for the company to grow. E-commerce in China is more than a tool; it’s a lifestyle. Chinese consumers buy online three times as often as their American counterparts do, and they use Alipay (Alibaba’s mobile payment app) to pay for everything from lunch at a food cart to online purchases of luxury clothing. Chinese consumers are incredibly knowledgeable about brands and are always looking for new foreign brands to buy. Badault said that the average American woman can name 14 cosmetics brands off the top of her head, but that the average Chinese woman can name 20. Partnering with Alibaba and entering the Chinese market gives brands opportunities to experiment with online and offline marketing strategies. Guess, for instance, partnered with Alibaba recently to create a store enabled by artificial intelligence (AI): shoppers in the store could use smart mirrors to streamline the browsing, fitting and purchasing processes. Instead of relying on a US-based team to run Chinese e-commerce operations, it is ideal to set up a team in China. 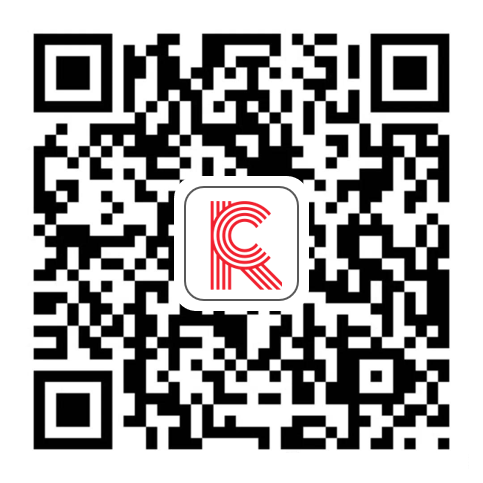 At a minimum, it is necessary to coordinate with Tmall advisers and companies such as Coresight Research, which have experience in the Chinese market. Although conventional wisdom in the US suggests otherwise, in China, it is best to launch online on Tmall prior to establishing brick-and-mortar stores, Weinswig and Schulmeyer agreed. 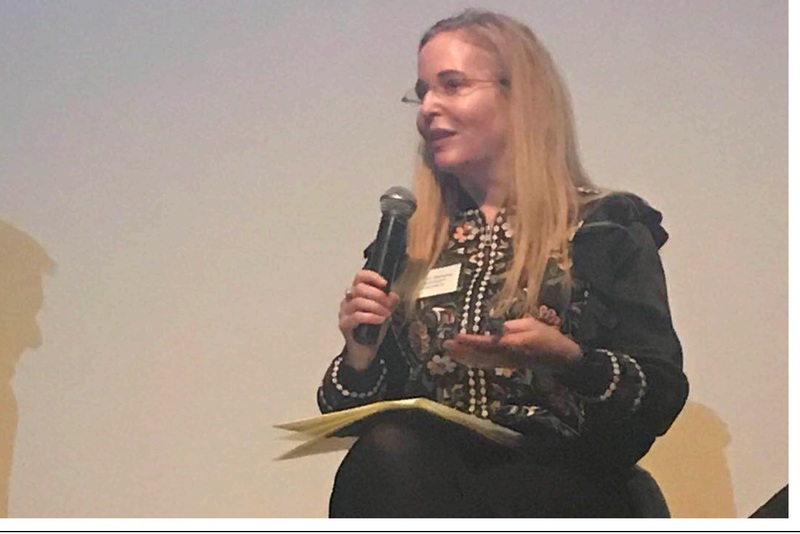 Schulmeyer was previously head of e-commerce at L Brands, owner of Victoria’s Secret, and he noted that Victoria’s Secret launched a Tmall store in China to great success prior to opening any flagship stores in the country. Consumers don’t use brand websites in China. Tmall stores are the most popular online shopping destinations, and it is vital for foreign brands to develop a Tmall store to provide a wide array of products and an engaging shopping experience. In China in particular, there is virtually no distinction between online and offline shopping. The same payment methods and goods are used and sold in transactions both online and offline, closing the gap between the two channels. Retailers can use online Tmall stores to collect consumer data prior to launching offline stores in Mainland China. 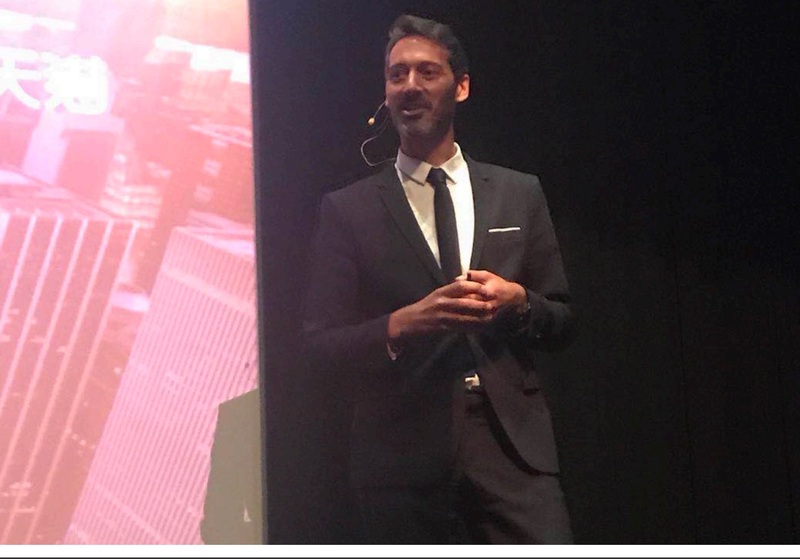 Anonymous consumer data, Weinswig and Schulmeyer said, are useful in determining where to open brick-and-mortar locations and what products to stock in them. Tmall stores enable brands to experiment with new marketing techniques and to test the waters of the Chinese market with a relatively low level of risk. Schulmeyer noted that they also allow companies to reach all regions of China immediately upon launch in the country. The panelists highlighted just how disparate American and Chinese shopping experiences are. In China, shopping has become something to look forward to. In America, Schulmeyer said, there is virtually no “shopping experience” on Amazon. The site is designed to get people in and out as quickly as possible. China’s Tmall marketplace, on the other hand, is built to keep shoppers on the site as long as possible. Weinswig noted that Chinese consumers spend an average of 170 minutes a day on their smartphones, compared with the global average of 147 minutes, indicating that smartphones and e-commerce in China aren’t always about enabling speed. Shopping, content and marketing are integrated in the world of Chinese e-commerce. Along with Alibaba’s 11.11 Global Shopping Festival televised gala, fashion shows featuring key opinion leaders/influencers such as Chinese celebrity Fan Bingbing have attracted more than 100 million viewers, Badault said. Such shows integrate entertainment, branding and shopping: people streaming the Alibaba gala on Youku (the Chinese version of YouTube), for example, could purchase limited-edition products featured on the show.